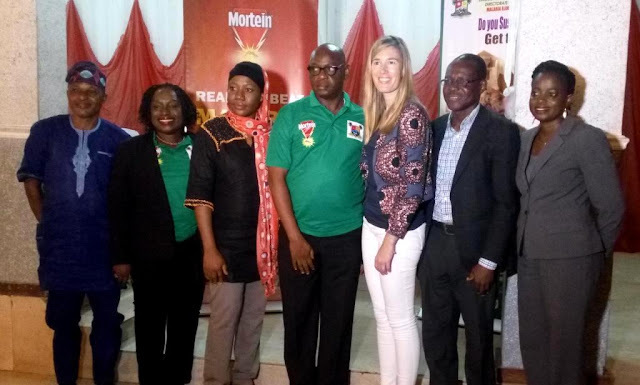 Mortein takes anti-malaria campaign to secondary schools in Lagos and Ogun States ~ Nigerian news platform bringing you News in Entertainment, Politics, Sports & Lifestyle. 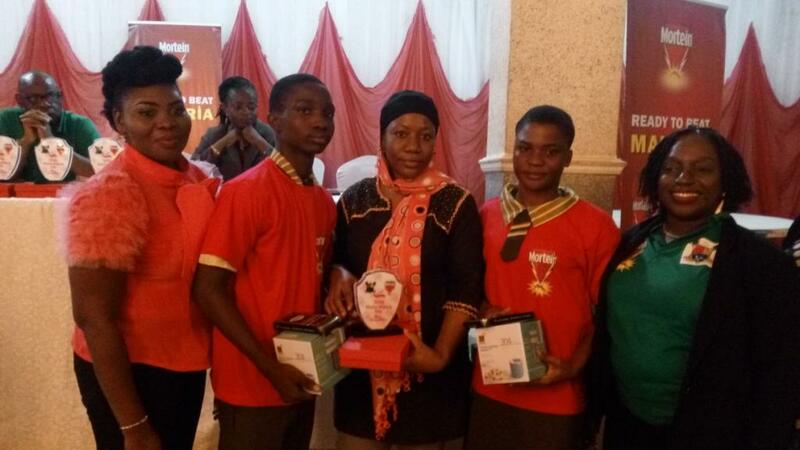 Marketing Manager, Home and Hygiene, RB West Africa, Mrs. Omotola Bamigbaiye-Elatuyi (left); Director, Disease Control, Lagos State Ministry of Health, Dr Erinosho Eniola (middle) and National Professional Officer, Malaria, World Health Organisation (WHO), Dr Tolu Arowolo with participants at the 2018 Mortein Malaria Quiz Competition in Lagos. 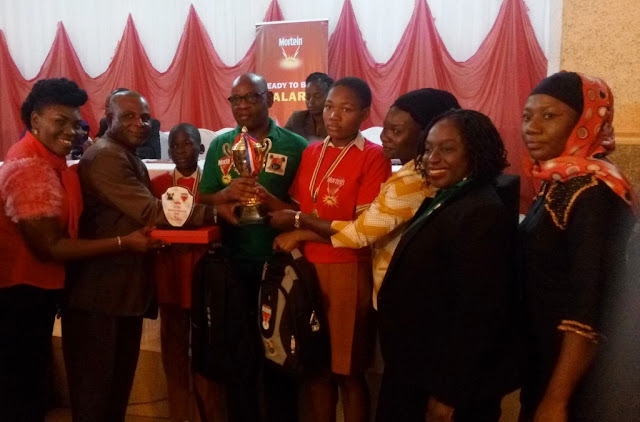 In furtherance of its continuous efforts to stopping the spread of Malaria in Nigeria and in commemoration of 2018 World Malaria Day, leading insecticide brand Mortein, has strengthened its partnership with Lagos and Ogun State Governments through the States’ Ministry of Health and Education, to organize the annual Malaria Quiz Competition for students in public Secondary Schools in both States. The primary objectives of the competition were to promote and enlighten the students on the malaria scourge in the society, highlight best ways of prevention, treatment, and cure of malaria. The quiz on Malaria Prevention saw over 15 public secondary schools in participation who were pre-selected from secondary schools across the state. Marketing Manager, Home and Hygiene, RB West Africa, Mrs Omotola Bamigbaiye-Elatuyi (left); Director of Public Health, Ogun State Ministry of Health, Dr. Qundus Yusuff (2nd left), Ogun State Malaria Programme Officer, Mrs Olamide Adeyinka and Senior Brand Manager, RB West Africa, Mrs Kuburat Sanusi, with participants at the 2018 Mortein Malaria Quiz Competition in Ogun State. Speaking at the events, Marketing Manager, Home and Hygiene, RB West Africa, Mrs. Omotola Bamigbaiye-Elatuyi, said the partnership with the states demonstrate RB’s commitment to the anti-malaria fight towards a malaria free nation emphasizing the unalloyed support of the RB to the Government on the prevention of the scourge. According to her, this competition is designed to arouse and re-awaken the interest of students in the knowledge of malaria and how to prevent it. “This competition is not just to identify winners and reward them accordingly, but to ultimately have advocates who would be championing the course of malaria prevention in their respective schools. Our expectation is that the Mortein Malaria Quiz Competition will continue to re-awaken the interest of students and teachers as well as educate the general public on preventive ways towards the eradication of mosquitoes in their immediate environment instead of curing it. In his remarks, the Lagos State Commissioner for Health, Dr. Olajide Idris, charged students to engage their host communities in combating the malaria scourge. Dr. Idris, who was represented by the Director, Disease Control, Lagos State Ministry of Health, Dr Erinosho Eniola, noted that the students have the power of influence on their mothers and siblings which they can maximize in waging war against malaria for healthy society. In his remarks, Ogun State Commissioner for Health, Babatunde Ipaye, represented by the Director of Public Health in the Ministry, Dr. Qundus Yusuff, enjoined the students to put to use the knowledge they have acquired during the competition, tasking them to be committed ambassadors of the anti-malaria campaign. He further expressed appreciation to Mortein for their initiatives and efforts in the fight against malaria in Ogun State. 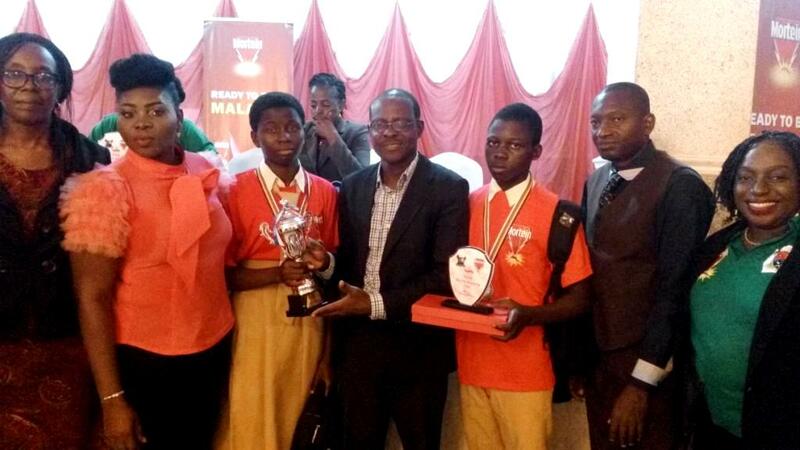 In Lagos, five Secondary Schools in the State participated in the quiz competition, and was won by Agidingbi Senior Grammar School Ikeja, while in Ogun, 12 Secondary Schools participated and the 1st place trophy was won by Itoki Secondary School, Ifo.